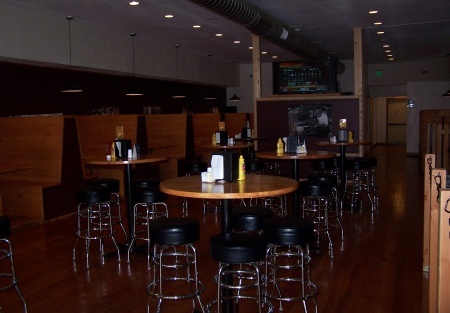 This great BBQ place is located within walking distance from the University of Washington. The restaurant is only a year old and the equipment is like-new. The restaurant is 3800 sq. ft. with inside seating for 158. There is city parking available in front of the restaurant. Rent is $4,400 per month. There is 7 years, 7 months left on the lease with (1) five year option. This restaurant needs a new concept and a new team to make it successful. THe kitchen is loaded with 18' Exhaust Hood, 8' X 9' Walk-in Freezer and Walk-in Cooler, Grease Trap, 60" Flat Top Grill, Two Basket Fryers, Southern Pride Smoker, and Confectionery Oven, and three 50" Hitachi Widescreen TVs. Great opportunity for an owner/operator to walk right into a business that is operational without initial build out costs, staffing and time delays. Take the next step and complete the online confidentiality agreement and you�ll be provided with the restaurant name and address. Also you will be given priority notification to new listings in the future, prior to the general public, giving you the best chance to �scoop in� the best opportunities. There are also more photos available to our registered buyers.This is a Paramount Restaurant Brokers, Inc. DBA SellingRestaurants.com listing. Conveniently located within walking distance from University of Washington. Beer & Wine Liquor License. Restaurants Seats 158 in ~2,000 usable square feet. Flat Lease is $4,400 per month. Easily Repurpose to Your Own Concept.